"They do not know the spirit of our foundress, Saint Mother Teresa, for whom the motto was love. We can only take care of these miserable people. I forgive those who attacked me ". The religious was attacked upon her return from a bank in Kularua, in Moulovibazar. A priest reported, "Together with another missionary , she had gone to the bank to withdraw money necessary for the maintenance of the center. On the way back they were stopped by four unknown men, who approached them on board a motorcycle and a CNG [typical Bengali motor rickshaw with three wheels - ed]. The criminals tried to steal the bag. Faced with the refusal of Sr. M. Madeleine, they unsheathed a knife and stabbed her in her left hand ". "The thieves - he continues - abandoned her as she screamed in pain. Some passers-by rescued her and took her to the hospital. She lost a lot of blood and three stitches were needed ". The Kularua police visited her in the hospital. Boniface Khongla, secretary of the Justice and Peace Commission of the diocese of Sylhet, went to the hospital to support Sr. M. Madeleine. 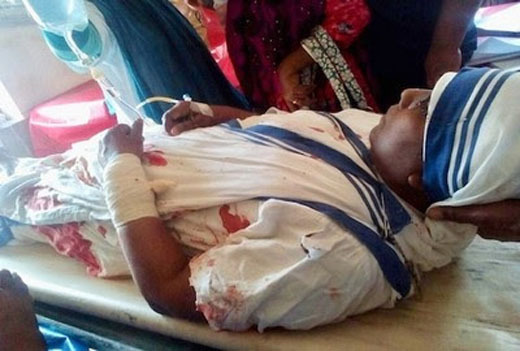 The Catholic expresses "concern for the attack against a sister of Mother Teresa. In the diocese the missionaries manage two centers for the needy and forgotten people, for the most part Muslims and Hindus. The religious serve those who are neglected by society. Who will serve them in the future if they are persecuted? "